We are just 5 minutes drive from the medieval castle and town of Conwy and ten minutes from the traditional British seaside resort of Llandudno; the inland surf lagoon at Surf Snowdonia and the Bodnant Welsh Food Centre and The National Trust gardens at Bodnant. 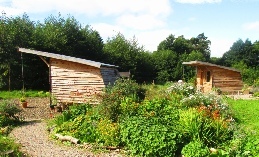 Our unique cabins are two highly insulated, wooden cabins, built from sustainable, local timber. 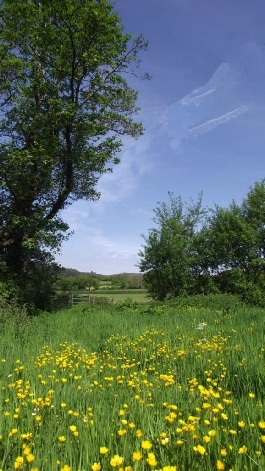 They are located within 3 acres of previously intensely farmed Welsh meadow which has now been allowed to regenerate as a natural wildlife haven. 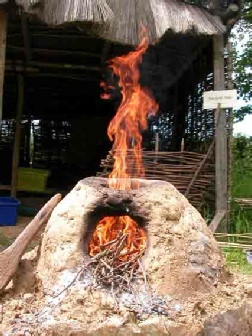 Or we also offer experiences in ancient and modern bush craft skills (our main job is as experimental archaeologists and we carry out studies and experiments in ancient technologies). So if you fancy learning to start fires in traditional ways or fancy having a go using Prehistoric mammoth hunting spears then just let us know and we can arrange for you to have a go! 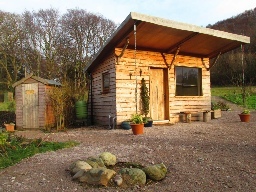 Come and relax in our peaceful, cosy cabins, nestling in the beautiful Conwy Valley at the foot of the stunning Snowdonia Mountains.